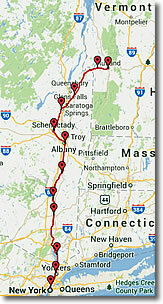 Amtrak's named express trains, mostly long-distance runs, are useful for travel among some points in New England, New York, Montréal QC and Chicago IL. See the Amtrak website for details and to make reservations. 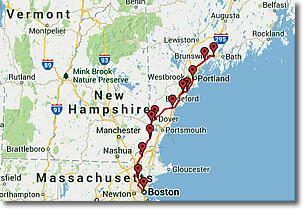 Route of Amtrak's Lake Shore Limited.